DESCRIPTION High standards of design/craftsmanship - ESTATE home built by Sticks & Stones exudes pride of ownership. Mn floor office, chef's kitchen-9 foot island, engineered oak wood flooring, top of the line appliances, walk-in butlers pantry. Upstairs find 3 bedrooms-huge master w/spa like 5 piece ensuite (heated floors). Upstairs laundry with sink. 3000+ sq ft professionally designed/finished space. 10 ft ceilings on main. Skylights. Solid core doors. Painted ceilings throughout w/built in speakers. Motorized blinds! Smart home connectivity-lights/blinds/video/tv-can all be controlled w/phone, tablet or voice. Finished basement offers 4th bedrm, 4 pce bath, media rm w/bar area, gym! Over-sized insulated dbl garage, landscaping/irrigation. AC. HRV system & high efficiency furnace. Parkhill = high-demand inner city area. Excellent proximity to the river, parks & walking paths, friendly neighbors, 4th street restaurants/shops, downtown, Glencoe club & schooling. Video and 3D. Home for sale at 3804 Parkhill ST Sw Calgary, Alberts T2S 2Z6. 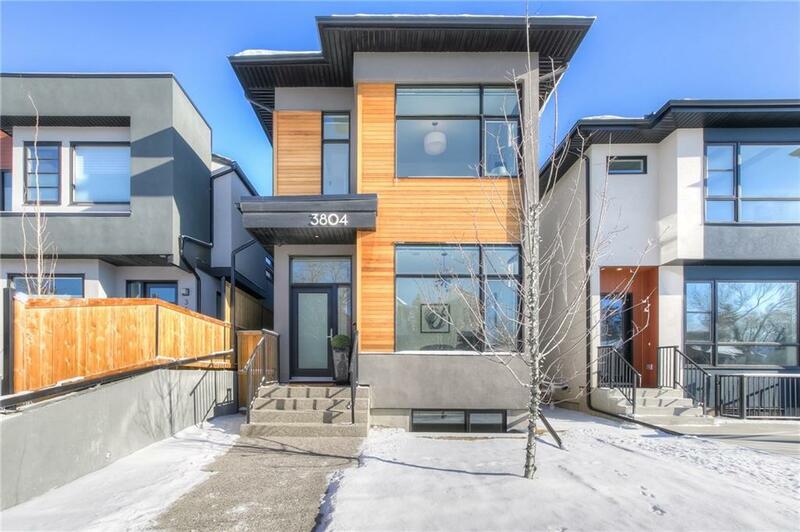 Description: The home at 3804 Parkhill ST Sw Calgary, Alberta T2S 2Z6 with the MLS® Number C4224464 is currently listed at $1,159,900.